Contact our 24/7 customer care agents for a fast and totally no cost offer for our end of tenancy cleaning service. Our skilled and efficient cleaning team arrives at your property with all machines, resources, solutions and other equipment to clean it from top to bottom. You must have moved out your stuff before the tenancy cleaning could be performed. This service has no time frame. The team helps keep cleaning until every single object in the cleaning checklist has been completed. Our post tenancy cleaning company offers you this service with a forty eight hours client satisfaction assure. Your property manager or landlord will do an examination of the house just before giving their bond back to you personally. For the property owners and real estate companies, we provide expert regular cleaning and pre-tenancy cleaning services as well. The more of our services you book - the bigger the discount rates you will receive for them, so make certain to reserve our end of tenancy cleaning service or a mix of our services today! Excellent Carpet Cleaning is specialised in providing a trustworthy and excellent move in and out cleaning service. Each one of our specialists are chosen based on personal recommendations and are carefully vetted and trained. 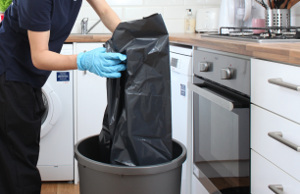 Through the many years of experience in tenancy cleaning, our end of lease cleaning company has developed a very specific cleaning register for the move out cleaning service, which covers any items or areas which can be checked by a landlord or property owner for hygiene. We have invested in buying the top specialized cleaning machines, equipment and solutions for the best results. Our bond back cleaning will ensure that not a cent of your own tenancy deposit is withheld for cleaning services by your landlord or rental property manager. We are able to carry out an end of tenancy cleaning service only after all your items have been moved out. To book our professional move out cleaning service, all you have to do is contact our daily customer assist centre. You can accomplish this by either dialling 020 3404 0500 or by making use of the basic online booking form here. Created verification will be sent to you via SMS and e-mail pretty soon. We work Twelve months a year, and can provide you with a same day end of tenancy service just in case of emergency. No advance payment is required at the time of the booking. We offer big special discounts for clients who book a lot more than 1 of our services at a time. Owners, estate agencies, regular customers and all those who book earlier ahead will get preferential prices. Select our fully covered, high quality guaranteed, professional end of tenancy service and reserve it today!